What’s New: Intel and the China Foundation for Cultural Heritage Conservation have created a partnership to protect and restore the Great Wall of China. Why It Matters: The Great Wall’s Jiankou section is among its most famous stretches, as well as its steepest. Located in thick vegetation, the section of the wall, which dates to the third century B.C., has naturally weathered and requires repair. Intel’s AI and Falcon 8+ drone technologies will be used to remotely inspect and map the Jiankou section, which has been difficult for repair teams to reach. Intel’s Role: Over the next few months, Intel’s Falcon 8+ drones will capture aerial photography of the walls to obtain high-definition 3-D images, helping teams gauge the Great Wall’s current condition. 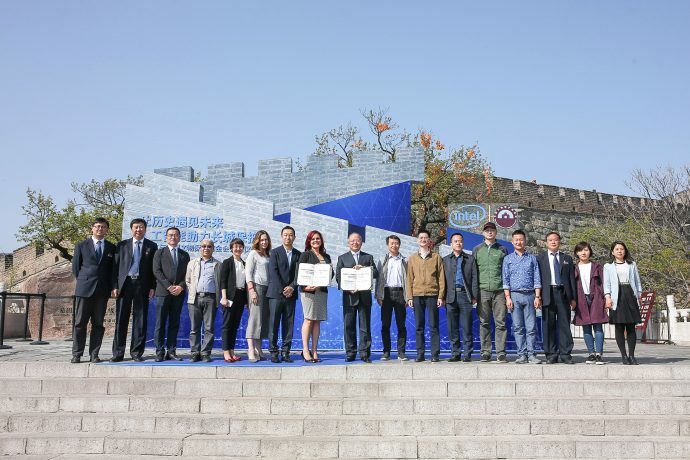 Intel Artificial Intelligence data capture will create a visual representation of the Great Wall to help efficiently and safely identify sections in need of repair.